I’ve been meaning to write a blog post on a question I’ve been asking myself for years—why photograph landscapes?—only to discover that the job has been done already, splendidly, by Frank Gohlke, in his book Thoughts on Landscape: Collected Writings and Interviews. The book was apparently published in 2009, and I bought a copy several months ago, picked it up briefly after it arrived, but didn’t really begin to read it until a few days ago, when I took it along for light reading on a long plane ride. The book (like many such collections of essays) is arranged chronologically, which provides the editor with a simple structure for ordering the book, but doesn’t necessarily provide the reader with an easy entry into the book—but I found the book coming alive with the interview with Mary Virginia Swanson (particularly the discussion about the New Topographics show), and suggest that as a better entry into the book. 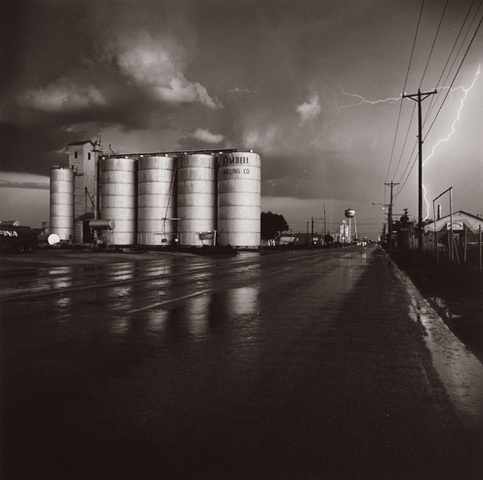 Frank Gohlke--Grain Elevator, From "Measure of Emptiness, 1992"
Gohlke’s own work has been published (although his output of monographs is modest compared to Friedlander or Robert Adams), in “Measure of Emptiness: Grain Elevators in the American Landscape” and “Mount St. Helens”. These books are notable in part for the long gestation periods between the making of the photographs and their publication—15 years in both cases—giving some weight to the argument that perhaps new is not necessarily better. The grain elevator project deals mostly with great spaces, and the human occupation of the great lands of the American west, while the Mt. 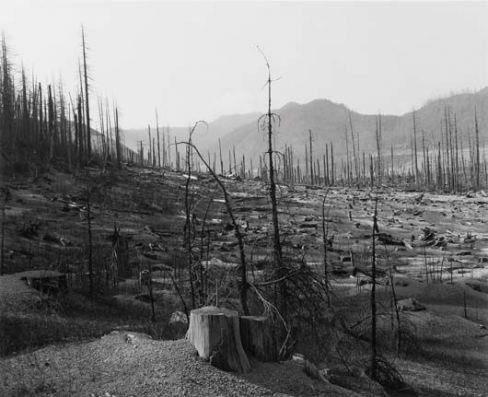 Saint Hellens work documents a natural disaster on a grand scale, but is presented as perhaps the only way of imagining the destruction that could be unleashed by a nuclear holocaust.